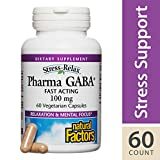 Most of the ​medications used to relieve anxiety get their effect through ​increasing the production of ​a neurotransmitter in your brain called ​GABA. ​But meds have side effects that natural GABA doesn’t have. Listen in this week as Dee gives the lowdown on GABA.